Studies show that 68% of Canadians skipped a scheduled doctor’s appointment or even avoided seeing one when they were sick1. This is either because of long waiting times or because they just couldn’t book an appointment at a time that worked for them. Not only does this delay their treatment, but it can also impact absenteeism, presenteeism and disability in organizations, leading to loss of productivity and lower engagement levels2. So how can we help? By launching Healthcare Online! 7 out of 103 Canadians say they would take advantage of virtual physician visits if they had the chance. Healthcare Online is a suite of services that will give them that advantage. Employees will have online access to healthcare professionals through web and mobile applications so that they get the care they need when they need it – at home, at work or on the go. Primary care is the first service available under Healthcare Online. With this service, employees will get 24/7 online access to doctors and nurses that can diagnose and treat their health concerns. These professionals will give advice, prescribe and renew existing prescriptions, receive labs and imaging requisitions, and even refer to specialists and allied health professionals. Healthcare Online is a game changer for the healthcare industry, but how will our service stand out from the rest of the Canadian market? Flexibility: you can offer these services as part of your benefits package or simply give employees access to preferred pricing. Quality: Healthcare Online is a curated service – we only retain the best-in class vendor for each service. Patient Care Experience: moving forward, we’ll be able to refer patients to other healthcare services and/or products like Manulife Vitality, Employee Assistance Program, or Health Risk Assessment. This will help them in their overall wellness journey. So, what’s the real value to organizations? Healthcare Online combines timely care, convenience and better overall health for your employees. They’ll be able to bring their best to work so they can help your organization thrive. Access to quality care online can be truly beneficial to organizations. Contact your Manulife representative to learn more. 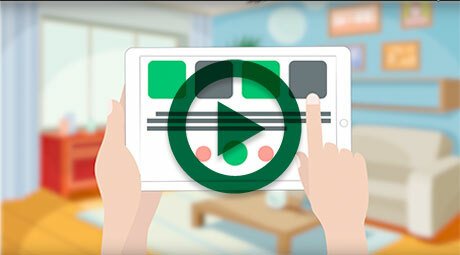 We’re excited to tell you that our Claim Smart e-learning tool is now available. It’s a fun and interactive way for your plan members to find out how claims smart they are when it comes to avoiding the misuse of their benefits. It’s also a great way to share useful tips to help your members become even better at protecting their benefits plan against fraud. Check out how claim smart you are. A French version of the e-learning tool will be available shortly, so watch out for an update! To learn more about our latest fraud prevention campaign, look out for #ClaimSmart2019 on our social media channels, or visit manulife.ca/planprotect. Effective January 1, 2019, the Government of Canada has added to the Canada Pension Plan (CPP) a Post Retirement Disability Benefits (PRDB) program to give protection to CPP retirement pension recipients. The Canada Pension Plan Disability (CPPD) benefit will not be impacted by the PRDB. The new post-retirement disability benefit will provide disability income protection to early retirement pension recipients. suffer from a disability as defined by the CPP legislation, that began after the effective date of their CPP retirement pension payments. Eligible pensioners will receive a flat rate PRDB of $496.36 for 2019 in addition to their CPP retirement pension. When does the benefit stop? What does this mean at Manulife? If the member submits a claim for disability benefits where the member has been, or soon will be, in receipt of CPP retirement pension, Manulife may ask the member to either convert to CPPD or apply for PRDB. Service Canada will contact CPP pensioners who were previously denied for CPPD, to inform them that they may qualify for PRDB. If you have questions, please contact your Manulife representative. Positive results for plan members and their employers. 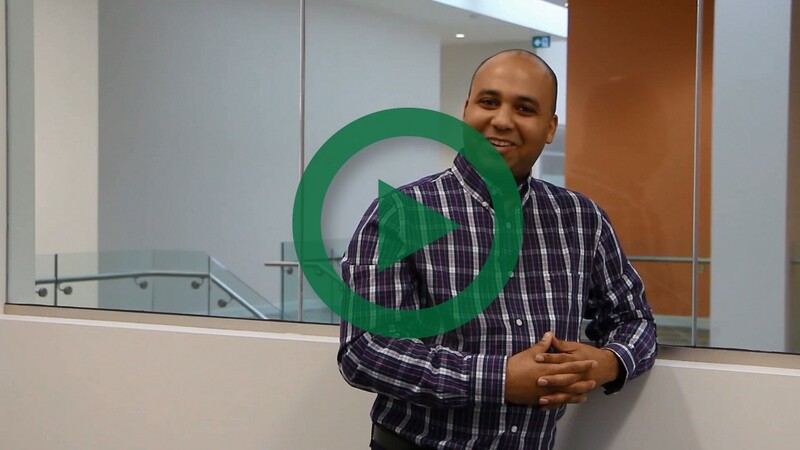 A year ago, plan members in the London, Ontario area were introduced to Manulife’s Trusted Provider Network. The pilot program was created to improve plan members’ experiences in sourcing the medical supplies they need. Each trusted provider in the network was screened and confirmed to deliver a high-level of professionalism and ethical service to their customers. Plan members using the Trusted Provider Network get their medical supplies without needing a pre-payment audit. It’s a more efficient claims experience for members, and the number of plan members using one of the trusted and reputable providers in the network has gone up. There’s also been a decrease in the number of members who choose to use providers who are not part of the Trusted Provider Network. In the past, some dishonest providers offered incentives that encouraged plan members to claim for supplies when there wasn’t a true medical need. The Trusted Provider Network helps remove that risk, resulting in fewer false claims. In the 12 months since the pilot started, participating groups have seen fewer inquiries and interventions when claims are made through the network. For example, one group’s claims for orthotics and elastic stockings reduced by 49%. * This is a strong sign that plan members are using the network, and only claims based on a genuine medical need are being submitted to the plan. Based on the success of the program, more plan sponsors wanted to join the pilot. Working with these groups, the Trusted Provider Network was expanded to the Hamilton and Niagara regions. The success of the program to date tells us plan members, plan sponsors, and participating providers value the approach and support the initiative. Building the network will take time, but Manulife welcomes the chance to work with our clients to gradually expand to new markets. It’s a pro-active effort to improve plan members’ experiences while taking concrete steps to protect the plan sponsor’s interests and investment. Effective April 1st we are modifying our administrative practices and applying limits on blood glucose test strips. For patients managing diabetes with insulin the yearly maximum will be 3,000 test strips. For patients on oral diabetes medication or using diet and exercise alone to manage their diabetes will have coverage for up to 400 strips. This change applies to drug plans with coverage for diabetic supplies. If your plan already has limits in place, the new limits wouldn’t apply. Plans that currently have limits on blood glucose test strips that would like to align with ours, please contact your Manulife representative. Changes in administrative practices are important to help manage drug costs for both the plan sponsor and member as well as reduce misuse and abuse. Applying limits also encourages proper testing practices for optimal patient outcomes. Provincial plans have introduced limits, but overall align with Manulife’s limits (with minor differences by province). If you have any questions, contact your Manulife representative. We believe most people are honest and don’t intend to misuse or abuse their benefits plan. But, errors can happen when plan members are disengaged, misguided or misinformed. We continue to focus on proactively engaging plan members to be claims smart all year round. How do plan members become claims smart? By making well informed choices when selecting a provider and submitting claims. To help deliver this strategy, we developed a library of ready-to-use campaign materials. These materials will help you to engage your employees, encourage improved claims behaviour and help foster a protective culture towards benefits plans. That’s claims smart! We’re continuing this strategy by developing fresh campaign materials over the coming months, for you to use to educate your plan members to be more claims smart and make well informed choices. 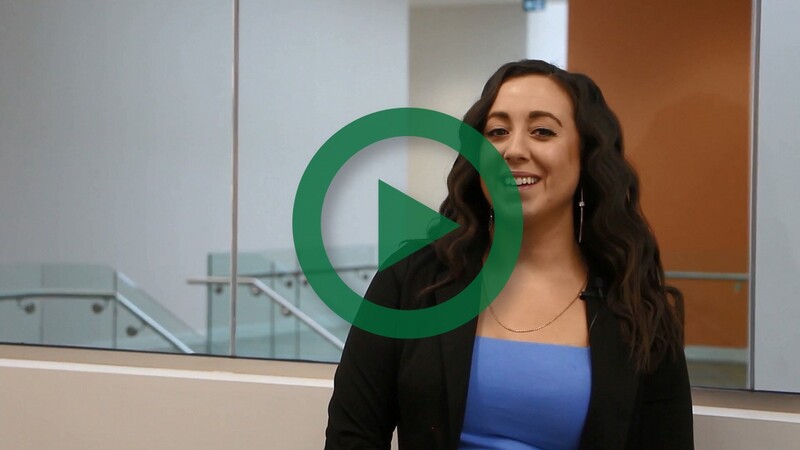 In line with Manulife’s digital transformation, and in recognition of March being fraud prevention month, we’re launching a new e-learning tool - a fun and interactive way for your plan members to find out how Claims Smart they are! They’ll also get some useful tips on how they can get even better at protecting their benefits plan. For more on this campaign, look out for #ClaimSmart2019 on our social media channels. There’s an opioid crisis in Canada.1 Our new opioid management program helps protect you and your members. We’re looking at the problem in a new way. Instead of managing opioid use by limiting access, our focus is on prevention and early intervention. We believe promoting the safe and smart use of opioids for members who are using them for the first time or haven’t had an opioid prescription for six months, protects their health and well-being. They’ll be better able to recover and get back to work sooner, healthier, and with less chance of addiction or health issues caused by overuse and side effects. And when that happens, they’re better able to continue bringing their best to work each day, helping to drive their organization’s success. Our opioid management program will automatically be added to all pay direct drug plans on April 1, 2019. By helping prevent chronic or long-term use, we’re not only helping members get back to work quicker and healthier. We’re also protecting you, our sponsors, from several other costs associated with opioid use. When fewer plan members need ongoing, long-term treatment, their plan’s drug costs and potential addiction management costs will be lower. And there will be less drug waste, with fewer unused opioids lingering in households, where they potentially pose a safety risk to other family members and their communities. Start with a short-term supply. By initially filling a small portion (up to 7 days) of a prescription, pharmacists have an early opportunity to check in on any side effects a member may have and monitor their risk of tolerance and dependence. It’s not about limiting access. According to the US Centers for Disease Control and Prevention, most acute pain that needs opioid use ends in 3-5 days. More than 7 days is rarely needed.4 But often, more than this amount is prescribed. We’re taking steps to help verify a member needs ongoing pain relief before they fill the rest of their prescription. It’s considered the most effective way to produce the best health results for people who are prescribed opioids. For someone who is not a current opioid user, long-acting opioids can present a serious health risk. Harmful reactions, like a lowered breathing rate or overdose, are greatly increased. And tolerance for and dependence on opioids can build quickly.5 By requiring a short-acting opioid trial period first, we’re helping to reduce the risk of side effects and chronic use. Manulife’s leading-edge opioid management program was developed in collaboration with Express Scripts Canada®. This proactive solution is in place to help improve plan member awareness of the risks associated with opioids. It provides a balance between control and appropriate use for members with a new opioid prescription and promotes the proper use of opioids for members who truly need them for ongoing pain management. As the program grows, we’ll share our insights on opioid use with you and provide education materials for your members. As you know, our unique medical marijuana program launched last September is available to you and your members. As you consider offering coverage for medical marijuana to your members, we wanted to make sure you have the information you need. To learn more about how our fully integrated program works, check out this feature sheet. 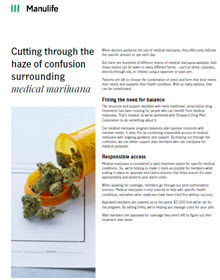 We encourage you to use this feature sheet to help take the confusion out of medical marijuana. Of course, we’re also available to help. If you have any questions about the program or are interested in offering coverage for your members, contact your Manulife representative. Benefit fraud is still a hot topic in our industry. Plan sponsors are demanding to know what the industry is doing to tackle it. We recently launched a campaign designed to engage and inform plan members to make smart choices when submitting claims. Our aim is to empower plan members to protect their benefits from fraud and misuse and to encourage them to report any suspicious activity they witness with our new Share & Protect e-form. The e-form helps them easily share concerns with the information we need to investigate efficiently. What is the CLHIA doing? The CLHIA is a not-for-profit, membership-based organization that represents 99% of Canada's life and health insurance companies. 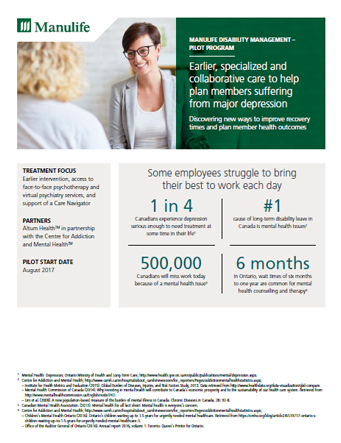 They recently launched their own awareness raising campaign, developed in collaboration with group benefits providers, including Manulife. The campaign is centred around the theme ‘Real crime = Real consequences’, focusing on the severity of the crime and the real consequences of engaging in it. The CLHIA campaign materials complement Manulife’s, so they can be used together to raise awareness of the full cycle of benefit fraud and misuse - from making a poor claim decision, to experiencing the consequence of being caught committing benefit fraud. Resources developed through this collaboration include a dedicated website, videos, and social media posts. Please share them with your plan members to raise awareness of the risks involved in engaging in benefit fraud. We’re excited to announce a first-to-market pilot that uses smart pill bottle technology to improve the way plan members take their medications. 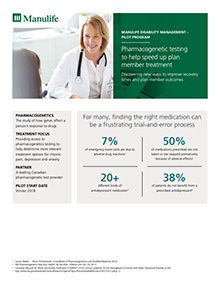 Plan members enrolled in Manulife’s Specialty Drug Care Program through Bayshore® HealthCare, and are taking a pre-selected medication for Multiple Sclerosis, qualify to join the pilot. The Pillsy® Smart Cap tracks if a member opens and closes their bottle to take a dose of medication. If a member forgets to take their medication, the Pillsy Cap will send automated reminders, such as beeping and blinking and text message alerts. It also sends reliable information to a Bayshore nurse case manager who can identify and help prevent any potential drug-related issues. Improper medication use is a very common issue. 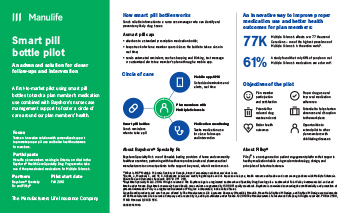 The pilot will help us to identify if a smart pill bottle technology, combined with the nurse case manager intervention can promote proper medication use, lead to better health outcomes and reduce medication waste. We will also collect feedback and insights from the plan members’ experiences. Please contact your Manulife representative for more details. 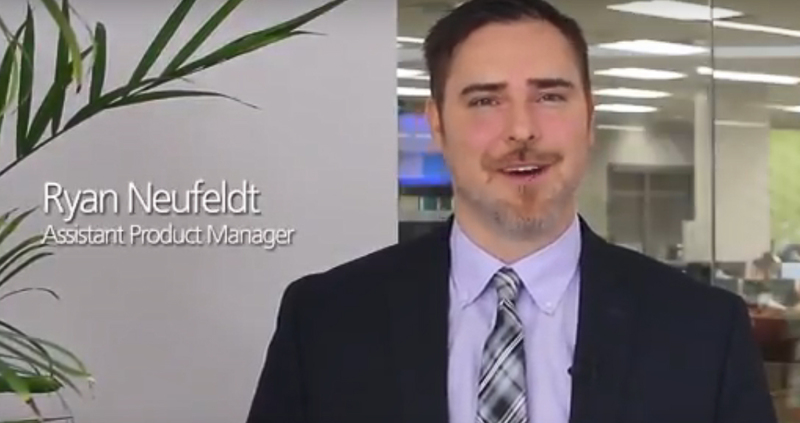 The functionality to generate a refill request shown in this video is not available in the Manulife smart pill bottle pilot program. © Bayshore Specialty Rx Ltd. 2018. All rights reserved. The Bayshore logo is a registered trademark and Specialty Drug Care logo is a trademark of Polar Valley Investments Ltd. and used herein under licence. Bayshore's community-based health care services are governed by ISO 9001 quality standards. Bayshore is committed to ensuring the confidentiality and protection of personal information. Pillsy is a registered trademark of Pillsy, Inc Incorporated, in the United States. This applies to plan sponsors with plan members who are residents of Quebec. Since June 20, 2015, Quebec pharmacists have been able to bill private plans for four professional services to their patients because of Quebec’s Bill 28. On August 29, 2018, the Minister of Health and Social Services, Quebec, reached an agreement with the Association Québécoise des Pharmaciens Propriétaires (AQPP) that allows pharmacists in Quebec to perform three new professional services. Administration of a drug for teaching purposes. This means the pharmacist demonstrates to the patient* the proper self-administration of an injectable drug, including subcutaneous (into the fat layer under the skin), intradermal (into the layer under the skin), or intramuscular (into the muscle). This service is limited to one per year per insured person and per prescribed drug. *The “patient” is either the plan member or the plan member’s dependent. Substitute a prescription drug when there is a supply shortage of the prescribed medication in Quebec. First, the pharmacist must confirm that the prescribed drug is not available in two other pharmacies and two other wholesalers, and that the Régie has not proposed a replacement drug; then the pharmacist can substitute an alternative drug from the same therapeutic class. This service is limited to one per supply shortage period provided treatment is continued with the alternative drug. For plan sponsors with members in Quebec, the three new services are eligible under your drug plan effective date October 31, 2018. These services are expected to have minimal impact to claims experience. Since these services are listed under the Régie de l’assurance maladie du Québec (RAMQ) drug plan, the plan member’s co-payment accumulates towards the RAMQ maximum annual out-of-pocket amount. If you have questions, contact your Manulife Representative. British Columbia’s Bill 20, the Insurance (Vehicle) Amendment Act, 2018, included changes to Section 83 of the Insurance (Vehicle) Act. These changes took effect May 17, 2018. One big change is that insurers’ have no subrogation rights for motor vehicle accidents in BC. This change affects injury and death claims caused by a vehicle, or by someone’s use or operation of a vehicle. Manulife has aligned our administrative processes with this change. *Note: For insurance, subrogation is when an insurance company pays a claim to the insured, and then recovers some or all the payment from the party who was at fault in the accident. The Canada Employment Insurance Commission and Canada Revenue Agency have announced the 2019 changes to Maximum Insurable Earnings, and premiums for employment insurance. These changes take effect January 1, 2019. The MIE will increase from $51,700 to $53,100. The EI premium rate will be $1.62 per $100 of insurable earning. This is a $0.04 decrease from the 2018 rate and a $0.056 decrease for employers. The QPIP premium rate will be reduced by $0.05 per $100 of insurable earnings to a premium rate of $1.25 ($1.75 for employers). The maximum EI contribution will increase by $2 to $860.22 for workers and up $2.80 for employers to $1,204.31 per employee. In Quebec, the maximum EI contribution will decrease by $8.35 to $663.75 for workers and down $11.69 for employers to $929.25 per employee. For self-employed Canadians who have opted-in to the EI program, the annual earnings required to qualify for special benefits will increase to $7,121, up from $6,947 for 2018. We are updating our systems to accommodate plan sponsors with their Weekly Indemnity/Short Term Disability benefit tied to the EI maximum. If you have questions, speak with your Manulife representative. For many months, Manulife has been working with the Canadian Life and Health Insurance Association (CLHIA) and organizations like the Business Council of Canada and the Ontario Chamber of Commerce, as well as meeting with federal and provincial governments, to represent your interests in the discussion about National Pharmacare. Such a program could introduce universal access to some prescription medications for Canadians, paid for by public funds. Like the federal government, we agree all Canadians deserve access to a comprehensive and affordable drug plan. We’re concerned especially about the estimated 10% of Canadians who either don’t have a prescription drug plan or have inadequate coverage to meet their needs1. In a recent submission to the Advisory Council on the Implementation of National Pharmacare, Manulife expressed its support for the government’s goal to improve the overall health, well-being, and quality of life for all Canadians. At the same time, we believe any national pharmacare solution needs to be careful not to erode the value that group benefits plans bring to the Canadian economy. Workplace benefit programs contribute to the overall health and wellness of Canadians. Employers and union groups provide these plans because workers value the variety of services covered by the plans. They enjoy the ease with which they can interact with their plans to obtain information or reimbursement for expenses. It’s important to point out that group benefits plans go far beyond simply paying for prescriptions: they bring together a variety of services and features that can support and help protect the overall health and well-being of the individual. Manulife believes every Canadian should have drug coverage that equals or exceeds an agreed upon standard. We note that almost all Canadians covered by workplace drugs plans, and many of those who access drugs through a public plan, already have coverage that would exceed any national standard that is likely to be established. Therefore, we believe the government can achieve its goal of universal coverage by improving the current system, giving employers incentives to offer benefit plans that include drug coverage, and establishing a base level of coverage that all private and public plans must provide. In the coming months, Manulife will continue to work with the government on this important issue. If you have any thoughts or concerns that you would like to share, please speak to your Manulife representative. 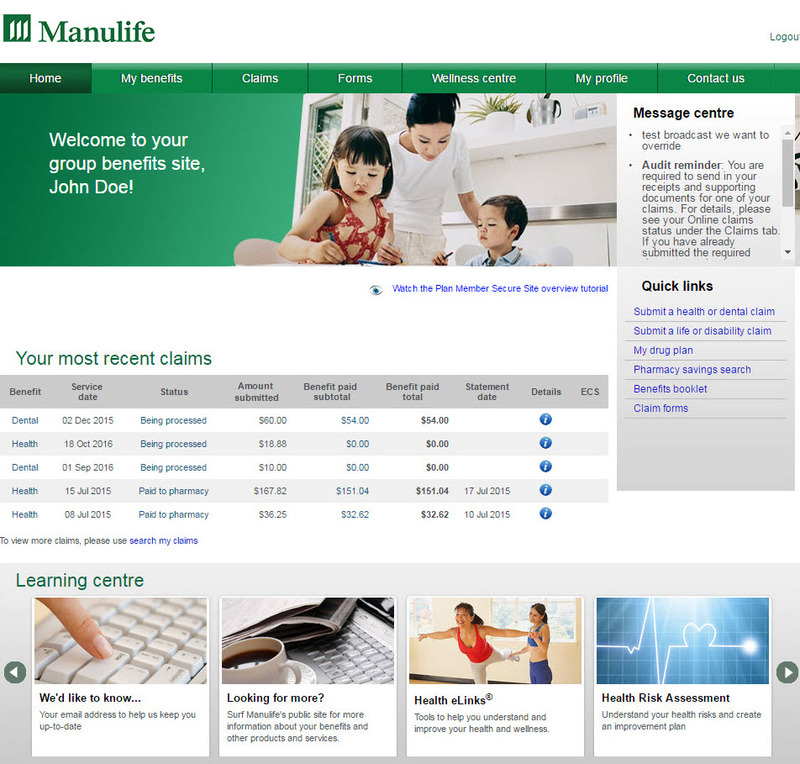 Manulife is not responsible for the availability or content of external websites. Today, Canadians spend most of their days sitting1 . According to recent studies, only 18%2 of Canadians get enough exercise – 150 minutes per week and 64%3 of adults in Canada 18 and over are overweight or obese. This inactive lifestyle can affect their health and ultimately organizations’ health. A large portion of the working population experience Musculoskeletal (MSK) disorders - low back pain, neck strain, carpal tunnel. This can result in increased presenteeism, sick leave, disability or early retirement4. It represents 28%5 of Manulife’s disability claims. We want to help Canadians suffering from MSK disorders. 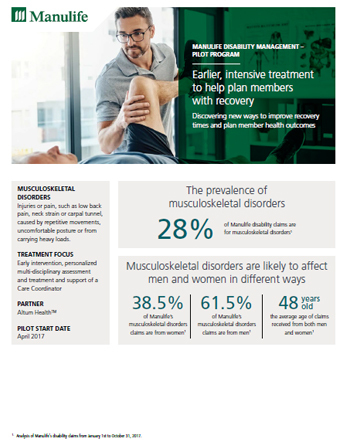 So, we partnered with Lifemark to provide an early multi-disciplinary intervention MSK disorders program with a personalized approach – individualized rehabilitation program and return-to-work planning to improve recovery times and health outcomes. Through this program, injured employees can safely and more quickly get back to health and return to work. This program is unique to Manulife and is offered to all clients in Canada. Did you know that the median waiting time between referral from a general practitioner and receipt of treatment in 2017 in Canada was 21.2 weeks6? This program – offered to all our clients in Canada - has delivered amazing results. Interested in learning more about these two innovative health recovery programs to help employees bring their best to work? Contact your Manulife Representative. Lifemark Health Corp. is a Canadian company, providing healthcare solutions to Canadians since 1998. Medical Confidence is a privately owned Canadian company found in 2009 whose mission is to empower consumers of the Canadian healthcare system. Medical Confidence is a trademark of Medical Confidence Inc.
We’re constantly improving the online claims experience for your plan members! We’re well on the road to delivering the best plan member experience in the industry. And it’s a journey that will never end! Choose from an expanded list of service provider types. Fewer details to key means a faster and easier claim process. Submit estimates online. Especially useful to anyone who needs to claim for a medical device. Faster online claims. Submit all your claims online, for the fastest way to get your money back. We’re listening and using your valuable feedback to create the best claims experience possible. And it’s just going to keep getting better! Stay tuned for news of future updates. We’ve teamed up with Shoppers Drug Mart Corporation to deliver a medical marijuana program that gives you a controlled, responsible and caring way to support your members who are suffering from chronic pain, discomfort and other serious ailments. Through our unique partnership, specially trained pharmacists at the Shoppers Drug Mart patient care centre will offer your plan members, who have been approved for medical marijuana coverage, the guidance they need to have confidence in their choice of treatment. They will advise on the different strains of medical marijuana and the different ways to take it. Based on this support, plan members can choose the treatment that best meets their needs and is covered under their benefits plan. Members will get ongoing case management from Shoppers Drug Mart’s patient care centre, tailored to fit their individual needs. They’ll have access to education, regular check-ins, counselling, and phone and email support. Online billing support is also coming soon. When it’s available, members won’t have to pay up-front for medical marijuana expenses that are covered through the program. We’ll provide claims controls. Any request for coverage will go through our prior authorization process. This helps you know certain criteria have been met before the drug is approved for coverage. The medical industry is still learning about potential uses for medical marijuana. The list of conditions it can help may change in the future. Approved claims will be covered as a drug benefit – and we’ll work with you to set coverage limits that work for both you and your members. We’ll also give you information to help you make informed policy decisions about medical marijuana in the workplace. You can choose to make the medical marijuana program available to your plan members by adding it to your benefits plan. It’s available to you now. The program will be available to members of participating plans starting in September. 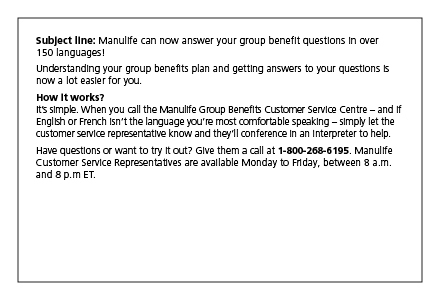 Talk to your Manulife representative for more information, or to add the program to your benefits plan. In the meantime, read the FAQ, which includes with more information about medical marijuana, Health Canada’s Access to Cannabis for Medical Purposes Regulations, and our medical marijuana program. We’re on a journey to change how we communicate. Over the past few months, we’ve been creating a better experience through words, pictures and design, so that plan members can find the information they need, understand it, and use it. With the adoption of digital media, reading habits have changed: people scan, and they use simpler words. We need our content to be accessible to everyone. How we can reduce questions to you, plan sponsors, and our contact centre. The understanding of financial jargon is low. There are lots of communications to consolidate or update, so it will take time. But we’re off to a great start. We’ve already released website content, letters and forms that follow our new approach. It just makes sense to ensure our communications are easier to understand. Your plan members are now receiving e-mail* confirmation from Manulife when their claims enter the system. The new process gives plan members written confirmation that their claims are being worked on. The process applies to claims submitted by paper. Plan members using paper also receive information on the electronic services available to them – so they can choose the options that best match the way they live their lives. It’s virtually an explanation of benefits, while still protecting the plan member’s privacy. For claims processed at the pharmacy – plan members will receive an e-mail informing them that a claim was submitted on their behalf by their pharmacist. Plan members will then be able to review the claim details on the plan member site, adding another layer of oversight. This new pharmacy claim e-mail will be triggered 2 to 3 days after the prescription is filled – the normal time required to process a drug claim. With written confirmation, plan members can be confident that their claims were processed and paid – no need to worry, call, or check the website. *applies to plan members who have provided Manulife with a valid e-mail address. Plan sponsors with plan members who reside in Quebec must offer prescription drug coverage that meets the minimum legislative requirements set by the Régie de l’assurance maladie du Québec (RAMQ). The maximum annual out-of-pocket drug expenses that plan members are required to pay increased from $1,066 to $1,087. The plan member’s co-insurance level (maximum out-of-pocket expenses) increased from 34.8% to 34.9% of the prescription cost. On January 1, 2019, the maximum coverage for Quebec smoking cessation products will increase from $700 to $800. Quebec's drug plan legislation requires that private drug plans are at a minimum equal to the drug coverage provided by the RAMQ. As such, all drug plans covering Quebec plan members must provide coverage for smoking cessation products that are listed on the RAMQ Formulary. 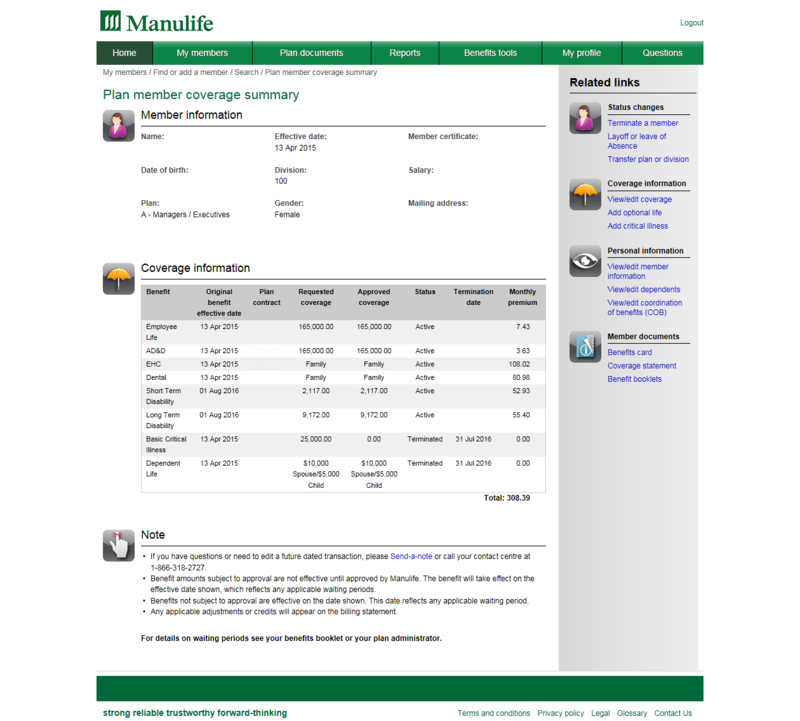 Manulife will not automatically update applicable contracts to reflect the RAMQ July 1 out-of-pocket expense increases. If your contract duplicates coverage provided by RAMQ, and reads an annual out-of-pocket expense of $1,066, you must submit an amendment to your account executive requesting that your contract be updated to match RAMQ's 2018-2019 minimum requirements. Contracts that do not state a specific dollar out-of-pocket amount do not require updating. A case between an employee and employer was recently brought before the Ontario Human Rights Tribunal. The case related to the termination of health, dental and life insurance group benefits at age 65. In an interim decision issued on May 18, 2018, based on the evidence presented, the Tribunal ruled that the provision of the Ontario Human Rights Code which permits employers to cease benefit coverage at age 65 is unconstitutional. The provision violates the equality rights in the Canadian Charter of Rights and Freedoms. It is unknown if there will be an appeal on the decision. If there is no appeal, the parties have until early July to agree to mediations or return for a hearing on the tribunal ruling. Manulife is reviewing the specifics of this decision. We will continue to monitor this matter closely and provide updates as they become available. Please contact your Manulife Representative. On February 26, 2018, Saskatchewan’s premier, Scott Moe, announced he was reinstating the Provincial Sales Tax (PST) exemption for individual and group life and health insurance products. This also applies to Administrative Services Only (ASO) arrangements. The Saskatchewan PST has now been removed from all bills. We’re crediting accounts for the relevant tax payments you’ve made since August 1, 2017 – the day the PST charges first became effective. Credits for active customers will be completed by early June. If you are an AdminAdvantage™ client and receive a payroll file, you will see this change in your payroll data by the end of May. If you prepare your own bills and have not stopped submitting Saskatchewan PST with your payments, you can do that now. If you haven’t already done so, adjust your next bill by the amount of your Saskatchewan PST credit. On August 1, 2017, Saskatchewan started charging 6% PST on individual and group life and health insurance products. At that time Manulife Group Benefits, plan sponsors, and third-party administrators with plan members in Saskatchewan made system changes to collect and remit the required PST. On February 26, 2018, the decision to charge PST on these products was reversed by the premier of Saskatchewan. As part of this project, we’ve looked at the online reporting library and have made the decision to remove some reports. 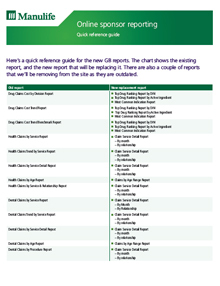 The reports we removed either are outdated or have been replaced by one of the new reports. You can find a full list of these reports here. If you previously had a report scheduled to run on a certain date or time, you’ll need to set it up again. Hello. ¡Hola! Ciao! Namasté. Talking to us just got easier! We’ve partnered with LanguageLine Solutions® to offer your group benefit plan members the convenience of talking to us in over 150 languages. At no cost to you or your members, this new partnership gives us access to a team of nearly 9,000 professional interpreters that know and understand our business. It’s simple. A member calls in to our Customer Service Centre. They’re looking for information on their group benefits plan, but, English or French isn’t the language they’re most comfortable speaking. All they do is let the customer service representative know and they’ll conference in an interpreter to help. Understanding and getting answers to questions about their benefits plan is now a lot easier. Spread the news. Here’s an email you can to send out to your members. Need more information? Get in touch with your Manulife representative. An innovative pilot program is underway with a limited number of clients that aims to help plan members (on disability or actively at work) with depression, pain or anxiety, to speed up their treatment. Pharmacogenetic testing can help determine how genes can positively or negatively affect a person's response to drugs. The results of the test offered through this pilot can help physicians prescribe the most effective medication more quickly. This may lead to better health outcomes, reduce the suffering of plan members and avoid several trial-and-error treatments with potentially adverse side effects. The pilot, being conducted in coordination with BiogeniQ, will allow us to gather plan members’ experiences and feedback, and evaluate the impact of these tests on group benefits plan. Plan member’s personal results will be kept confidential. We expect the pilot evaluation to be complete in 2019. Stay tuned for future updates on the pilot’s progress and results. You can now manage administrator access to your account yourself. No more paper requests! One key plan administrator can add and update other administrators, giving you better and faster control of your account. Identify your main administrator and get started. Here are the instructions. On April 1, 2018, the prices on the ingredient cost for almost 70 of the most common generic drugs dropped 25-40%. These drugs include those used to treat high blood pressure, high cholesterol and depression – and are used collectively by millions of Canadians. The discounts are based on an agreement between the pan-Canadian Pharmaceutical Alliance (pCPA) – which represents provinces, territories and federal government – and the Canadian Generic Pharmaceutical Association (CGPA). Under the new agreement, provincial and territorial governments agreed not to pursue tendering for participating drug plans over the five-year term. The price drop applies to both public and private plans. Public plans, plan sponsors and their plan members and those that pay themselves stand to save money. Plans with generic substitution help manage drug costs by reimbursing lower priced generic drugs and brand name drugs that don’t have a generic equivalent. Plan sponsors looking for ways to manage their drug plan may want to look at applying generic substitution. For these plans, since pharmacists typically offer a generic drug when it is identified as interchangeable by the province, the plan member experiences minimal disruption. Commencing with the August renewals, EHC premiums/deposits will reflect a 1.5% reduction. There will be no off-renewal adjustments. As part of our year-round commitment to protecting you from group benefits fraud, an innovative trusted providers program is being piloted. By supporting plan members to be smart consumers, we can work together to prevent fraud and continue our mission to provide the best group benefits experience in the industry. Providers involved in the pilot, can apply to be featured on the trusted providers network list. Once the applications have been reviewed by the team, they are rigorously audited to ensure they meet the required standard of business practice and service expectation. Once the provider has been identified as ‘trusted’ they are added to the trusted providers network list. The main objective of this pilot is to significantly reduce the risk of fraud against group benefits health plans, by partnering with reputable providers and establishing an additional level of security to prevent and detect provider fraud. By validating the provider prior to claim submission, the process is made more secure and efficient, further improving the plan member experience, when choosing to be treated by a provider from the trusted providers network list. By being featured on the trusted providers network list, the provider gains a marketing advantage, having been identified as having high standards of professionalism, integrity and business practice. The trusted providers network program is currently being piloted in London, Ontario and we expect to have the results of this pilot later in the year. Stay tuned for updates! If you suspect benefits fraud, report your concerns to gb_investigative_services@manulife.com or call our confidential tip line 1-877-481-9171. If you have any questions or would like any further information, please contact your Manulife representative. Diabetes Wellness Program pilot has now launched! Eligible plan members will benefit from timely personalized support and coaching ‒ from Certified Diabetes Educators, pharmacists, online resources, and the latest blood glucose monitoring tools. The goal is to enhance health outcomes through better lifestyle habits and glycemic (blood sugar) control. Members will also be advised about opportunities to optimize their medication therapy, including more effective drugs and lower-cost alternatives. The pilot, being conducted in coordination with Express Scripts Canada (ESC) and ProHealth, will allow us to gather plan members’ experiences and feedback, which will help shape the future of the program. We expect the pilot evaluation to be complete in early 2019. Stay tuned for future updates on the pilot’s progress and results. Manulife is partnering with Bayshore Home Health (Bayshore) to help members get enhanced guidance and support for their Private Duty Nursing (PDN) needs—when they need it most. A Bayshore registered nurse will provide a free telephone assessment to determine the member’s nursing needs. Members will be able to feel confident knowing that they and their loved ones are receiving the proper care they deserve. Bayshore is a Canadian-owned premier healthcare provider with over 50 years’ experience. They are a trusted expert in handling and assessing PDN situations. After a member contacts Manulife and provides consent, a registered nurse will call them to obtain all required medical information. The registered nurse will also help to navigate the healthcare system and offer guidance and support in accessing additional funding through government services and programs that may be available to help members maximize their benefits. Although there is no obligation for members to have the nursing services provided by Bayshore, Manulife has negotiated preferred pricing with Bayshore to help benefit dollars go even further. For more information contact your Manulife representative. Great news! Manulife is one of the first benefits and retirement service providers to offer Fingerprint ID for AndroidTM . Plan members using iOS and AndroidTM devices can access their group benefits and retirement accounts using Manulife Mobile without having to enter their sign-in credentials. By simply using their fingerprint to identify themselves as plan members, they can start managing their accounts. Offering Fingerprint ID for AndroidTM is another big step towards our mission to offer the best plan member experience in the industry. People suffering from health issues want to return to health as quickly as possible. Faster, more personalized services may help them do just that. Working with specialized physical and mental healthcare providers, we’ve kicked off five ground-breaking pilot programs to explore new treatment options that could make a real difference in the lives of our plan members. The pilots offer individuals struggling with mental health issues and musculoskeletal disorders -earlier, more personalized and intensive treatment for their specific health needs. By helping plan members quickly and easily access the treatment that is right for them, our goal is to shorten their recovery time and allow them to either stay at work or return to work faster. We also hope to help plan sponsors lower the costs associated with disability-related absences – and more importantly, benefit from having their employees back on the job, bringing their best to work every day. Each pilot applies a different combination of early intervention and intensive treatment allowing plan members to benefit from a wider array of treatment options to meet their varied needs. 1. Early, intense and collaborative care - This pilot provides plan members with earlier access to an individualized, intensive multi-disciplinary treatment approach, so that they can quickly and safely recover from musculoskeletal or orthopedic disorders such as lower back, neck and shoulder strains. A Care Coordinator also helps plan members keep on track during their recovery journey. 2. 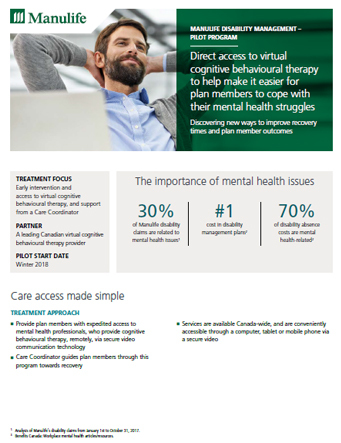 Innovative e-care - This pilot provides virtual cognitive behavioural therapy and earlier access to evidence-based treatment to help reduce stigma and make treatment convenient. A Care Coordinator guides plan members through this program towards recovery. 3. 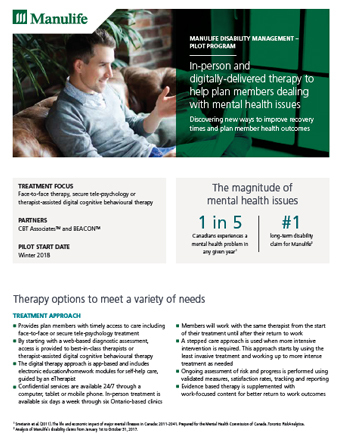 Best-in-class human touch and e-treatment - Depending on the individual needs of plan members, this pilot offers in-person cognitive behavioral therapy, tele-psychology and therapist-assisted digital cognitive behavioural therapy. 4. Specialized and compassionate care - For plan members requiring a multi-disciplinary approach, this pilot provides earlier access to a blend of in-person psychotherapy and tele-psychiatry services, as well as the support of a Care Navigator to help them engage in their health and recovery. 5. Pharmacogenetics testing - This type of testing helps determine how genes can positively or negatively affect a person's response to drugs. 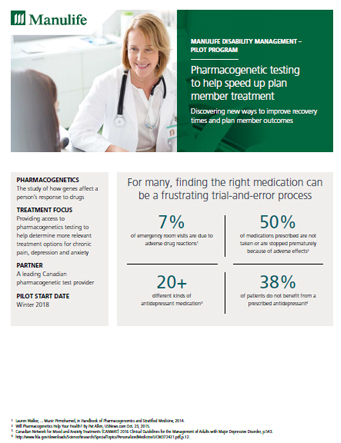 This pilot gives plan members suffering from anxiety, depression or chronic pain access to pharmacogenetics testing to help physicians prescribe the most effective medication more quickly. This may lead to better health outcomes, reduce the suffering and avoid several trial and error treatments with potentially adverse side effects. We’ll share more detailed information about each of these pilots in the coming months. Manulife’s contracts are now available exclusively electronically. This means that the next time you make an amendment to your plan, you’ll receive electronic copies of your updated contract and booklet. This will help ensure that you and your members are accessing the most up to date materials for you plan. We have also moved to a completely digital welcome experience for plan administrators. This only applies to any new administrators you add to your plan. They will be emailed information on how to log into their account for the first time. When they log into the site, they will be guided through the welcome process and directed to the materials they need to get started. We recently moved to electronic booklets. You can find the latest booklet for your plan on the plan administrator secure site and your members can find it on the plan member secure site. If you or your members don’t have access to the secure sites, Manulife can email a copy to you. Regional call centre teams available! Specialized customer service teams have been created to better support you. When contacting the Call Centre, you can speak directly with a Customer Service Representative dedicated to your specific location in Canada. Continue to call the same numbers: 1-866-318-2727 for English and 1-866-445-2727 for French, and input your policy number. Your call will automatically be routed to your regional team. These customer service representatives will have greater experience with your location and can help provide more relevant and informed service - all designed to create a better benefits experience for you. The Send Files tool is a new feature that will streamline day-to-day plan administration. Fast, easy and secure, you can send files in a variety of formats (e.g. .doc, .jpg, .pdf, .xls) through the plan administrator website. You can now add deposits to your plan members’ Health Care Spending Account (HCSA) or Taxable Spending Account (TSA) on the plan administrator website. Simply sign in to the plan administrator site, choose My members at the top, then Add deposits. Once deposits have been added, they will be processed within 1-2 business days. You can then view your members’ balance online. You can view plan members’ monthly premium amounts on the Plan Member Coverage Summary page on the plan administrator website. This will make calculating payroll deductions quicker and easier – no need to wait for your next bill or call the Customer Service Centre to determine the monthly premium amounts. Simply sign in to the plan administrator site and search for a member in the Find a member section. You will be directed to the Plan Member Coverage Summary page. You can view the Monthly premiums under the Coverage information section, or by viewing the “Coverage statement” under member documents. 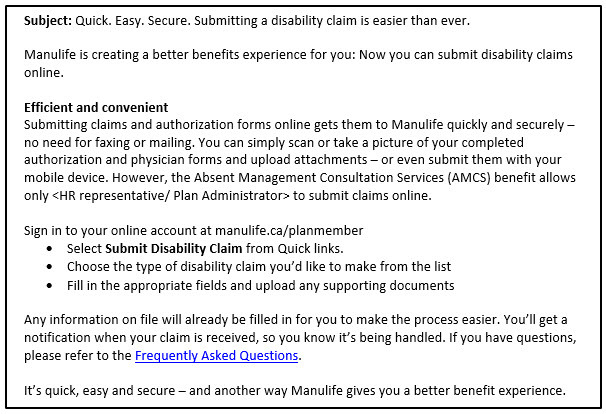 We’ve improved how you and your members manage benefits with Manulife: Disability claims can now be submitted online. Clients with health, dental and disability plans – who use standard forms – can submit disability claims using the Submit a disability claim link on the secure website. However, plans with Absence Management Consultation Services (AMCS) only allow administrators to submit disability claims online. Completing claims and authorization forms online gets them to Manulife quickly and securely– no need for faxing or mailing. You and your members can simply scan or take a picture of completed authorization and physician forms then upload the attachments. Members can even submit them with their mobile device*. For more details, refer to the Frequently Asked Questions (FAQ) document. Use this email template to let your plan members know about this feature. Changing the way disability claims are submitted is another way Manulife is creating a better benefits experience for you and your members.